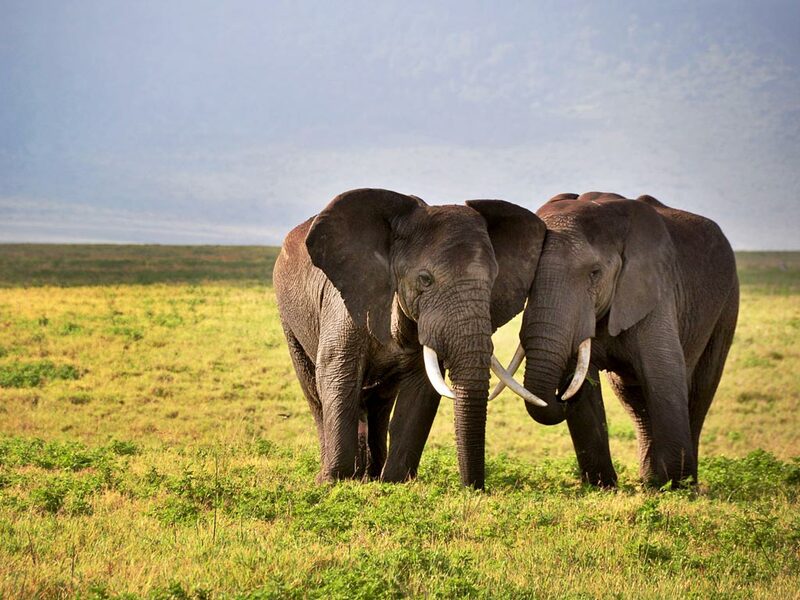 On this 4-day camping safari you will explore the Tarangire National Park with its huge elephant herds, the diverse landscapes of Lake Manyara National Park and the Ngorongoro Crater, a collapsed volcano filled with wild animals. 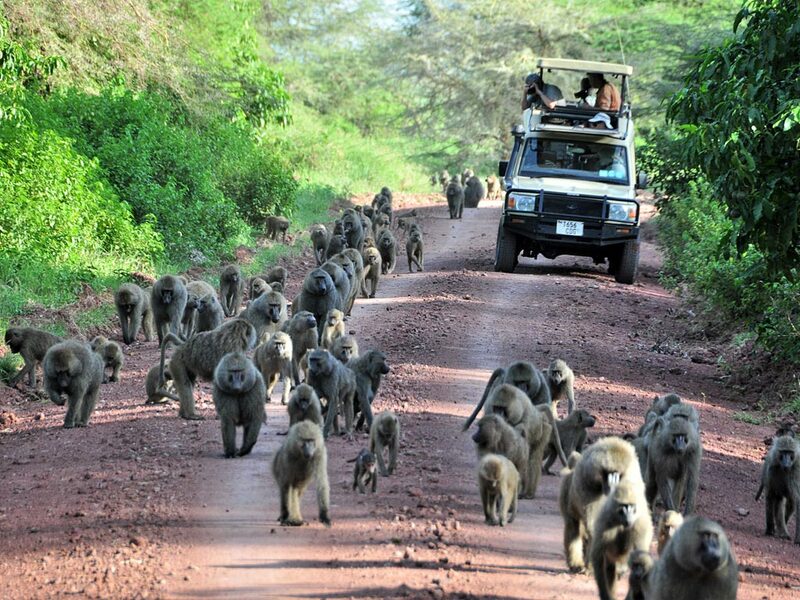 After a short safari briefing in the morning, you will travel southwest towards the Tarangire National Park. 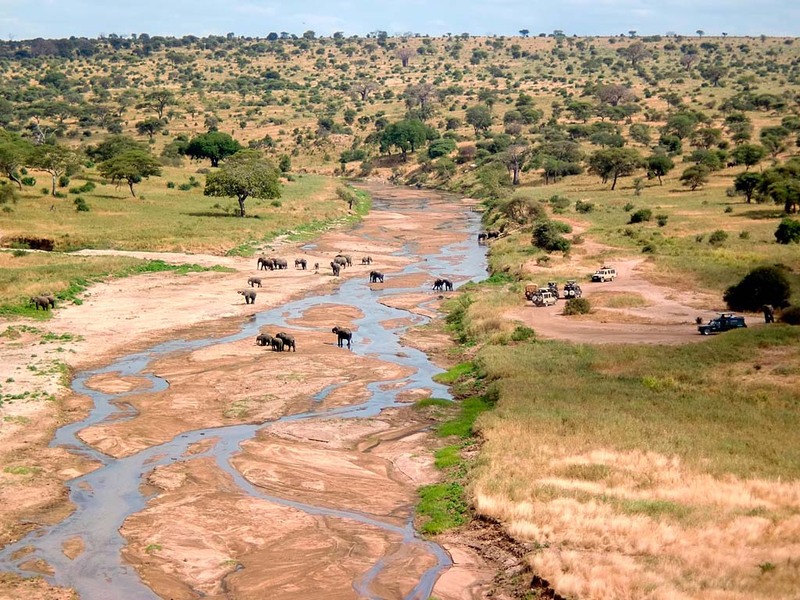 The park has a diversity of landscapes including grass, acacia woodlands and forests and it is especially popular for its huge elephant herds and animals gathering at the river and swamps. Animals range from swarms of yellow breasted lovebirds to kudus, buffaloes, giraffes, eland and the weird-looking gerenuk. Predators include lions, leopards and hyenas, while wild dogs are rare. In the late afternoon you will arrive at a campsite inside the park, where you will spend the night in tents. 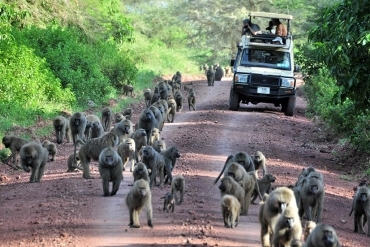 After breakfast, you will leave the Tarangire National Park and drive via the town of Mto wa Mbu to the Lake Manyara National Park. This park with its shallow alkaline lake stretches along the base of the Rift Valley Escarpment. Lake Manyara attracts thousands of birds, including huge flocks of flamingos. Other animals in the park include buffaloes, elephants, hippos and Masai giraffes as well as troops of boisterous baboons and monkeys in the forests. The park once became famous for tree climbing lions and if you are lucky to spot them you will be amused by the site of these animals lounging on branches in the acacia trees. 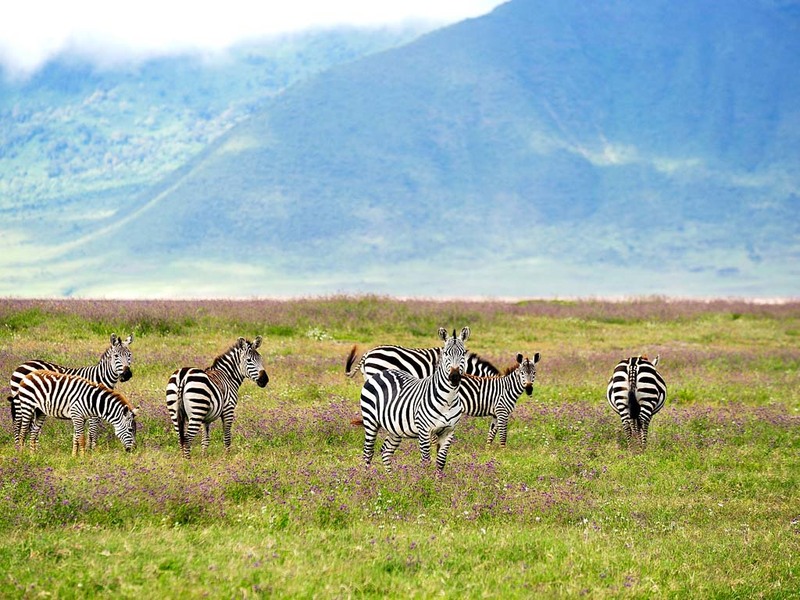 After a game drive in the park you will ascend to the Ngorongoro highlands, where you will overnight on a campsite situated on the crater’s edge with magnificent views of the caldera below. Rise and shine! After an early breakfast at your campsite, you will travel down a precipitous trail into the crater. Its grass plains and acacia forests are home to almost all the species of animals found in the East African savannah. In only a few hours you might see all of the Big Five – lion, elephant, buffalo, rhino and leopard – as well as eland, mountain reedbucks, hyenas and rare wild dogs. 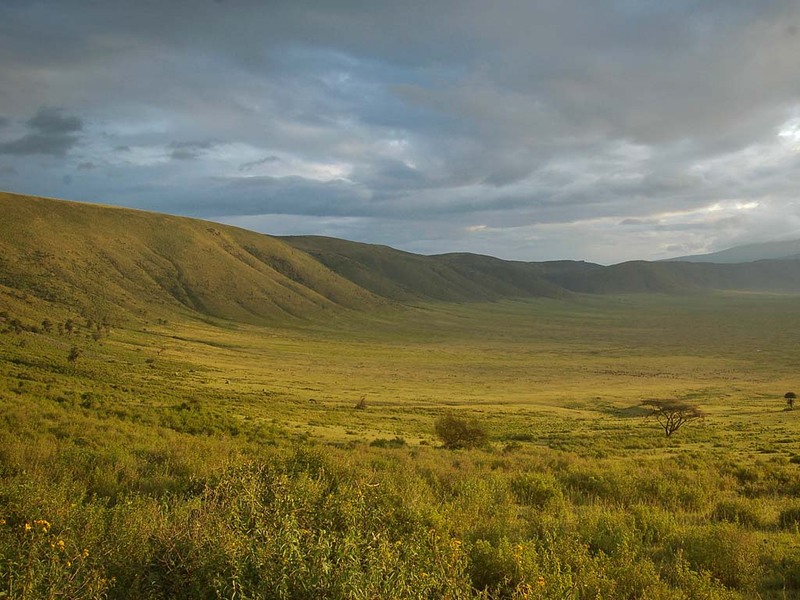 After an extensive game drive and a picnic lunch inside the crater, you will leave the Ngorongoro Conservation Area and travel to Mto wa Mbu, where you will spend the night in a tent on a campsite. We will provide you with a detailed packing list at the time of booking – (please feel free to contact us should you have any questions or wish to hire a sleeping bag).